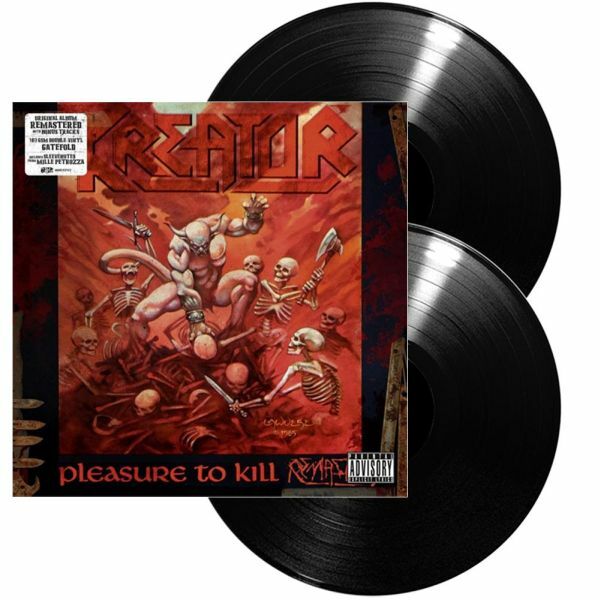 KREATOR - PLEASURE TO KILL VINYL RE-ISSUE (2LP) | Online Shop | Wizard LTD. Album: "PLEASURE TO KILL VINYL RE-ISSUE (2LP)"
Unleashed in 1986 and still considered the band’s first “classic” album, Pleasure to Kill raised the bar with more diversity of tempos and greater attention to technical execution, while losing nothing in terms of ferocity or speed. The band closed out the year with the Flag of Hate EP (named after a re-recorded version of their earliest hit) which is included on this version.